The most successful children know that their family supports them and shows an interest in their day to day school life. Engage with the website and Twitter feed to find out more about what learning is taking place in school and celebrate what your child is doing at home. At the beginning of the Autumn Term, we would like to welcome you in to school for our new academic year welcome meetings. This is an opportunity to meet the year group teams and find out more about the organisation and curriculum in your child’s new class. In EYFS (throughout Nursery and Reception), there are regular Stay and Play events for you to come into school and enjoy learning opportunities alongside your child. Most importantly – these events are fun and your child will love having you in their classroom sharing in their learning activities. It is an opportunity for you to see the way adults in school might explain a concept so that you can take this learning on further at home. Please do come along to as many of these events as you can. From Y1 to Y6, there are opportunities to come in and find out more about how the children learn in mathematics, grammar and phonics and reading. Sometimes the teachers will set up activities for you to explore with your child, sometimes the children will present the learning and set mini tasks for you to work on with your child. Often, there will be ideas and resources for you to take away and use at home. We are very flexible and can plan learning workshops to suit the needs of our families – if you have a good idea for a learning workshop, we’d love to hear about it. Please see Mrs Sellars. We are very lucky to be able to offer Family Learning Courses with Louise Fisher (Family Learning Development Officer) from Gateshead Learning Skills. These short courses are advertised throughout the year and vary in content from: cooking on a budget or maths skills for life to improving your child’s speaking and listening skills. Courses will be advertised in the school foyer, on Twitter and via letters home. The courses are allocated to families on a first-come, first-served basis. Your children are involved in the learning with you. Come along and meet our Family Support Worker, Michelle Turnbull. She runs fortnightly coffee mornings on a Thursday morning. They are a great way to find out more about what is happening in school, meet other parents and carers and ask questions. In the Spring term, we hold information meetings about the Phonics Screening Test for Y1 children and the end of key stage Standard Attainment Tests (SATs) for Year 2 and Year 6 children. There will be information shared about the tests themselves and how to support your child. Please do ask any your child’s class teacher any questions in the meantime. Each half term, teachers will send home a Curriculum Information Leaflet. These are also available on the school website. These are specific to each year group and will provide information about the learning theme, educational visits, important dates, key vocabulary, spelling patterns and suggestions of ways to help your child including websites and places to visit. At the beginning of a half term, your child will bring home a Homework Grid with a range of open ended homework activities. Each activity is worth an allocated amount of points though children can earn bonus points or even negotiate their own homework task and agree with their teacher how many points this might be worth. There are point checks throughout the half term. Once all the points are totalled, come along and celebrate in our half-termly homework assembly when we share examples of outstanding homework and give out certificates for high point scorers and exceptional effort. We also expect children to read each day and practise recall of their basic number facts (number bonds and multiplication and division facts). Children will also need to practise spellings sent home for our class spelling bees! Your interest in homework will increase their motivation and satisfaction. It should not take a great deal of time and it is important that you see the work is completed and returned to school. If you have any concerns about your child’s progress or learning, you should speak to your child’s teacher in the first instance. Although homework can be completed by children independently, we suggest parents and carers are actively involved in supporting their children’s homework as this will make it most meaningful. Children learn about reading by listening to stories, by making up a story as they turn the pages of a book and by reading print of all kinds. Reading with your child is one of the best ways to help your child learn to read. If reading is fun, your child will want to read with you. Children should read for 10 to 15 minutes each day. Find a relaxing and comfortable place to read together away from distractions. Choose a time when you both want to read. If your child is too tired, then choose an earlier time. Let your child choose which book to read. It is important for them to feel engaged with the book. Children will often choose favourite stories which they know by heart. This is fine and a normal part of learning to read. Before starting to read the story, talk about the cover, the title and the author and what the book may be about. Do not always read the book straight through to the end. As you read, pause to talk about the pictures, discuss what has happened and what may happen next. Try to engage your child in the text as well as the pictures. Even at an early stage, encourage them to read some of the words in the text. Have your child look closely at words by finding those that look the same, rhyme or start with the same letter. Always praise your child, particularly when they have corrected themselves. This helps build up confidence and makes reading pleasurable. Were you right about what you thought was going to happen in the book? Have you read any other books like this? If the story carried on, what might happen? Which character did you like best / least? As your child becomes a more confident reader, encourage them to read by themselves a little each day.This should be in addition to them reading with you. Learning to write well is an important communication skill. Children learn about writing from watching others and from the writing they see around them – things like adverts, notes, papers and letters. One of the most important ways to encourage your child to write is by providing them with a model of a writer – you! Always praise your child to develop their confidence as a writer. Even if their writing is not entirely recognisable. Choose a time when your child wants to write and when you are able to help. However, if your child is reluctant, don’t insist. Encourage your child to try to write for themselves, even if they make mistakes. Suggest they have a go with words that they don’t know how to spell. They need to say the word slowly and write down the sounds they hear. If they really don’t want to, just spell out the word for them. As your child begins to write at home, do not over-emphasise neatness in their writing attempts. When children write they need to get their ideas down first. To help them with their handwriting, have them practice copying poems or stories from books. Ask your child to read their writing to you as they write and when they have finished. This will help them understand the importance of the reader. Children need to feel that they are writing for a purpose. This can be in the form of letters to friends, stories, shopping lists, making and writing greeting cards, plans for a party, postcards and diaries. Your child has a Matheletics subscription so if you have internet access, please do encourage them to complete the activities and play the games selected to support their learning. How many? – At home or when you are out, ask your child to count the number of objects they can see. At first, they may need to be able to touch the objects to count successfully. A good technique is to ‘touch, count, move’ so they do not count the same object more than once. Counting up and down – Ask your child to count up e.g. from zero to twenty. Then count down from twenty to zero. Try asking them to count from a different number e.g. count up from 8 or count down from 14. Number Spotting – Often during the day, ask your child what numbers they can see. There are often many numbers at home they can read. While out, ask your children to read house numbers, telephone numbers on shop signs, bus numbers etc. 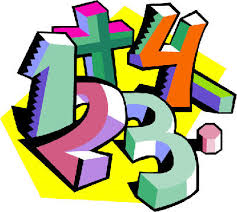 Doubling and Halving Numbers – Give your child numbers to double. How many can they get correct in one minute? Number Bonds – Ask your child to say two numbers that add up to 10, 20 or 100. Can they remember all the pairs of numbers of by heart? Online Games – If you have online access, there are many good interactive games and activities to practice maths. Please remember to support your child and ensure they stay safe online. Please do not hesitate to come and speak to a member of staff if you have any questions at all.